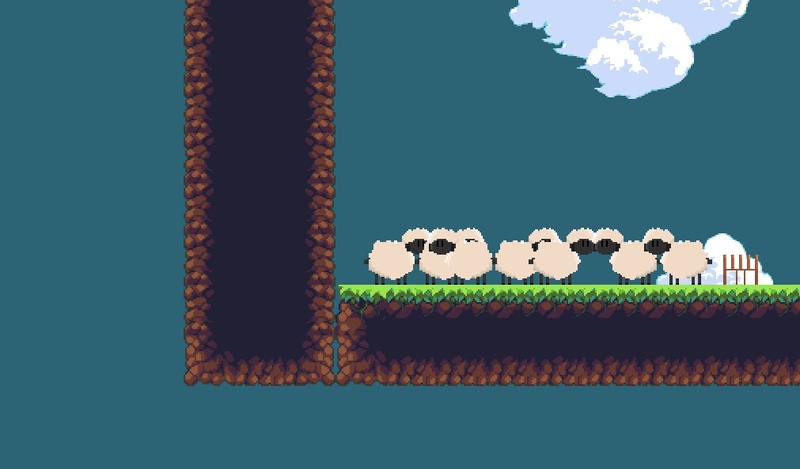 also I found a bug with the big rock that move upwards when the clone sheep hit the button. 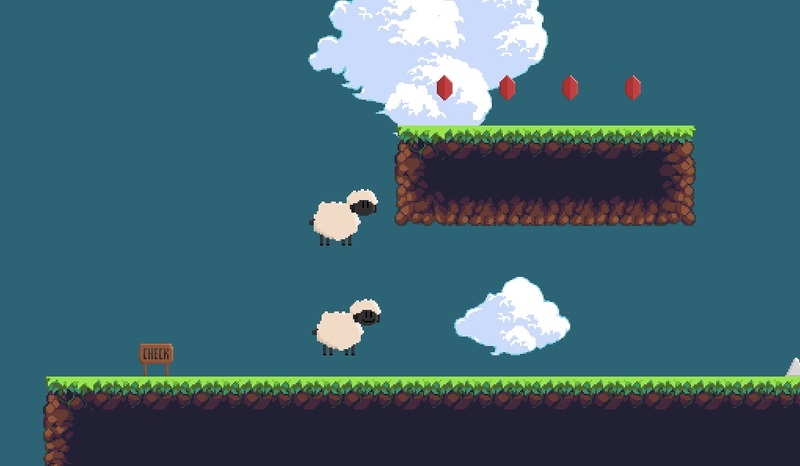 If you leave the normal sheep under it and the clone sheep goes away from the button. 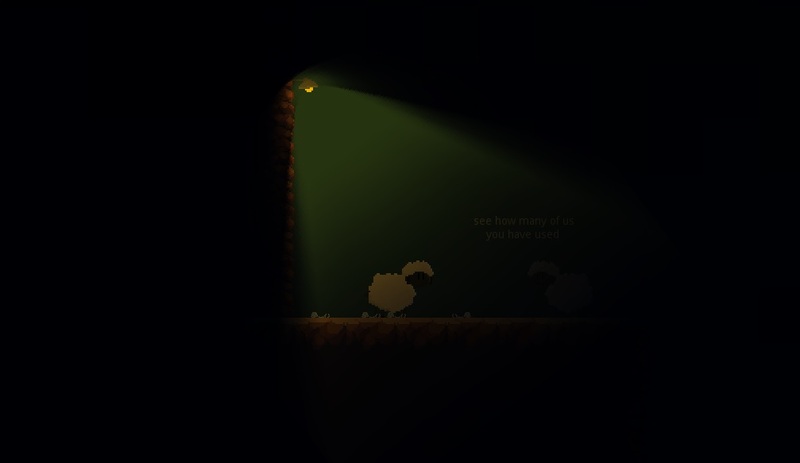 your normal sheep get stuck into the ground XD. but I want to see this game going forward after the Jam. don't worry It just happend to me. keep up the good work. Really funny and inspired! the mechanics are great, and the atmosphere is funny, excellent! Honestly, this is the best game I've played so far, I still haven't finished it yet, but even only like so far into the game play, I just can't say anything bad about it. This may even be like the second comment I've left. I gave 4 stars across the board, only because I believe there is always room for improvement, but you've set the bar high with me, really awesome.. Your welcome!  I just started myself(sort of), the game I did for this jam is the first game I ever finished. I attempted to make games nearly two decades ago, but just didn't have the drive to really work at it. The spark got reignited about a month ago though, and ever since I've been trying to learn as much as I can about what works, and what doesn't work. I can't wait to see what you do with this game though even further than what you already have! I can imagine that it was much more difficult two decades ago to get into game dev, now we have many great game engines to choose and tutorials on youtube for begginers. Hope that you keep that spark going! Aff eu fiquei bem titi com o final :( non sabia que os clones eram gente como a gente. Really like the concept, fun game! Neat concept! Fun and challenging! Player got stuck between wall and spike wall, but was fun up to that point. Otherwise, well done! 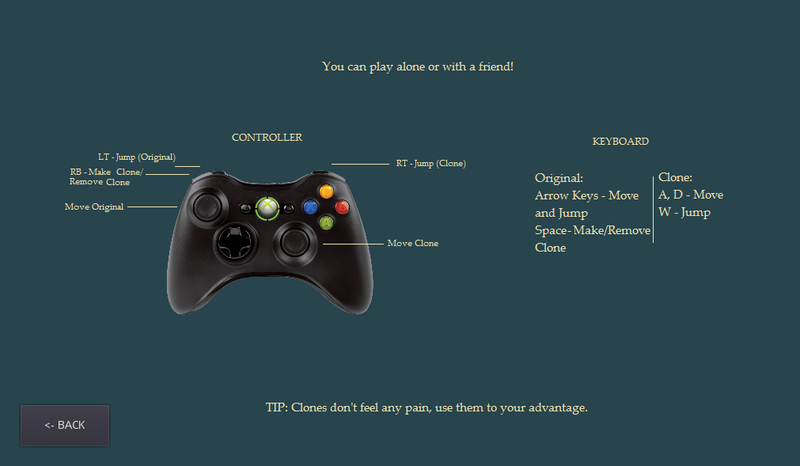 I have fixed some collision problems and will update the game when the voting ends! This was fun and really interesting! I got a bug that flew me way up, so I stopped playing. Nonetheless, fun game, would love to see more polish to it! Thank you for the feedback! 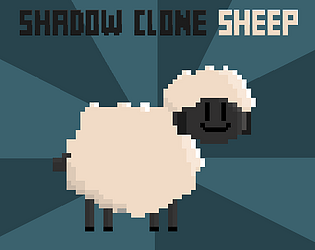 :) I've seen this bug a couple of times, one way to "fix" it is just removing the clone, getting all the way down with the original sheep, and then kill it. When you respawn make another clone and the bug is gone. best game played so far. loved the mechanic of the game. managed to glich the game out - jumped both at the same time and never stopped falling. I've seen this bug, something wrong with the collision detection, gonna fix it for next update! This is one of my favorite submissions so far. Definitely top notch. The art really gives off a classic Sonic or Mario vibe. The core gameplay mechanic is really well implement and challenging but rewarding. There were times when I almost gave up on the game because I got frustrated, but then I thought of a new way to get through. Really, there's so much intelligent design behind the scenes of many great games that is easy to take for granted as a gamer, and this game delivers on that front. I would say of all the Jim Jam games I've played so far, this is near the top as far as deserving more development efforts. This is a great game. I didn't finish it, but I've got this bookmarked to play and finish later. Great concept (although probably not original), and level design complements the concept quite well. 1. 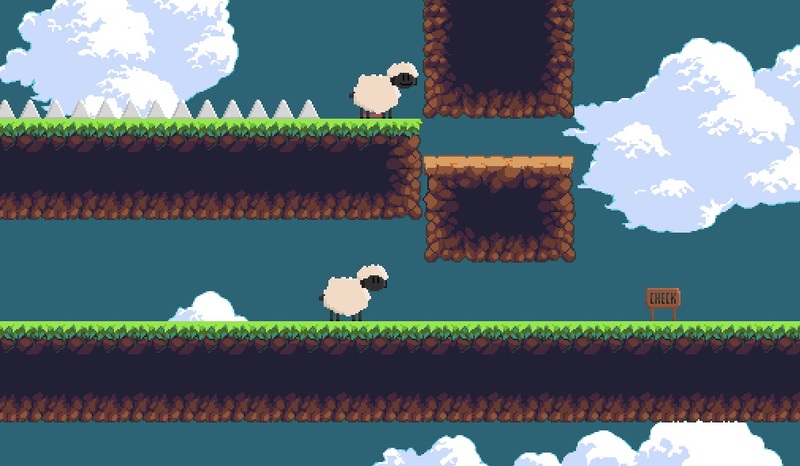 Since one of the sheep is invincible, perhaps it should have been visually distinct to make it clear. Perhaps a more mechanized version of the sheep to emphasize its invincibility. 2. 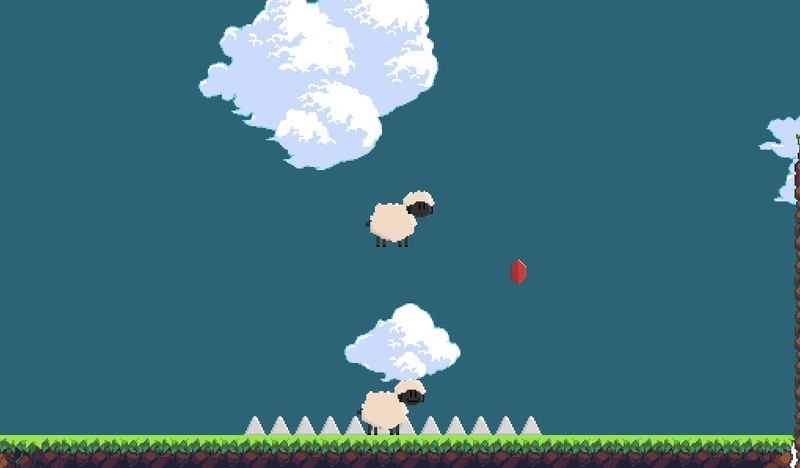 This game plays good enough that I would have liked more polish, things like death animation, better SFX (a sheep game without "baaa"?). 3. A screen size which allows me to see more of the level would improve the gameplay, since then I can plan my moves, etc. Thank you for playing and sharing your feedback!